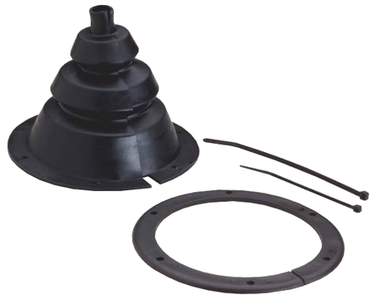 Black rubber, UV-resistant motor well boot provides protection for control cables, wires, or fuel lines. Split side allows for installation without disconnecting controls. Includes an attachment gasket ring and ties for a secure fit.